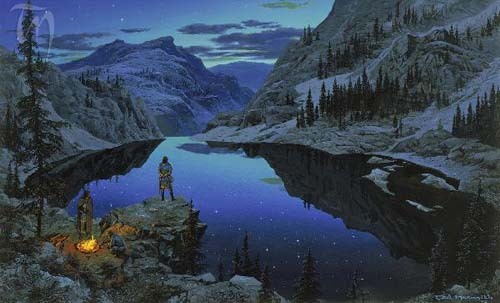 One of the common traits of those who were good and wise in Middle Earth was the way they honoured the earth and her creatures. 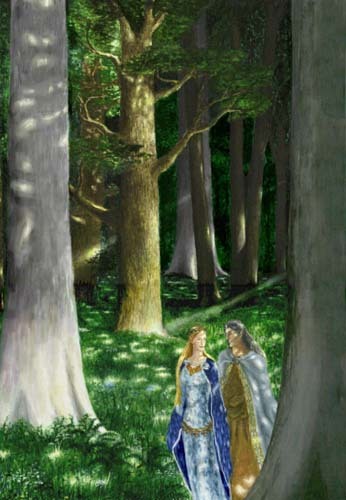 The elves were especially connected, and the idea of wandering through a forest talking or singing to the trees is inspiring. The earth provides everything we need, and it is important that we do not take that for granted. Our society as a whole has become very disconnected from nature. Most of us no longer grow our own food, or participate much in the natural cycles or life. Without going into a long account of why this is dangerous and detrimental to our planet and all who abide here, let me just say that it would be in our best interest to become more mindful of how we are connected with the earth. It might even help you feel more elvish or hobbit like! Food is a wonderful way to bring earthly awareness into every day life. Be thankful for what you eat. When you are preparing or consuming food, think about where it came from and what helped it grow. The sun, rain, air, and earth all contributed to your nourishment. Perhaps you want to extend your thanks to the hands that harvested your food as well. For countless reasons, buy organic whenever possible! Growing a garden is a deeply satisfying way to interact with nature. By nourishing your garden, you learn what it takes to grow your own flowers and food, which can help you appreciate these things more. Even if you don’t have a yard or much space, herbs and many beautiful plants and veggies can be grown in pots and planters. Hug a tree. Hug lots of trees. Send your gratitude and love into the sky through branches and into the earth through roots. All things are connected, and trees are a wonderful example of this. By sending positive energy to one tree, that energy will spread by branch and root further than you may think. Talk and sing to plants and trees. They breathe in what we breathe out. This helps them grow and also warms the heart. Walk barefoot when you can. A direct connection between you and the earth is as easy as slipping off your shoes. Walk in nature whenever you can. Even if you live in a city, find a park. Befriend a tree or patch of grass. Watch the seasons change and pay special attention to spring. It is truly amazing how a bud turns to leaf and flower in a matter of days. Send the earth your blessings. This can be a thought, a song, a few words, or whatever feels right for you. You can sprinkle the ground with herbs (sage, lavender, etc.) or pour good energy into a rock and bury it or place it somewhere that is special to you. Sending love and gratitude to the earth helps her heal. Through karma these blessings will come back to you. Remain childlike in your wonder and amazement. Find joy in each living thing. Take time to appreciate beauty. Notice the countless ways water exists: flowing, frozen, floating, falling. Watch light dance and change. Be present in each moment of life, and mindful of the nourishment of nature. Honour the earth. Talk to the trees and kiss the wind. Let the mountains be your strength. This is wonderful! Thankyou. I try and take time when I can to honor the earth.